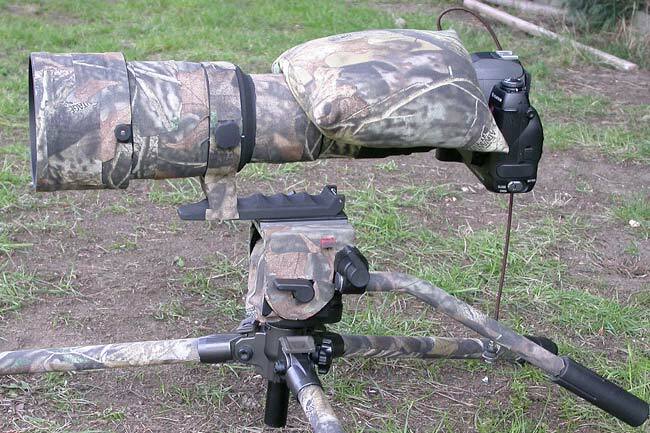 A camera set up for bird photography, from Digiscoping's DSLR Bird Photography pages. 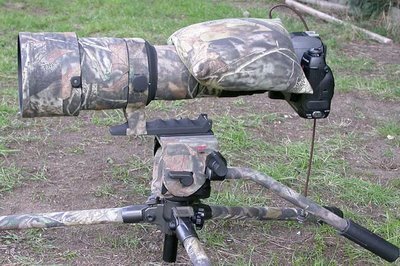 The beanbag is partly for camouflage and partly to reduce vibration. interestingly there are the posters who ask for critiques - and who really shouldnt and there are those that are not really looking for a critique but a heaped dose of praise. I used to post on photo sites ( 4 years ago ) and stopped when people would not take my rider seriously - I do not want a critique or comment, these are posted for interest purposes only.